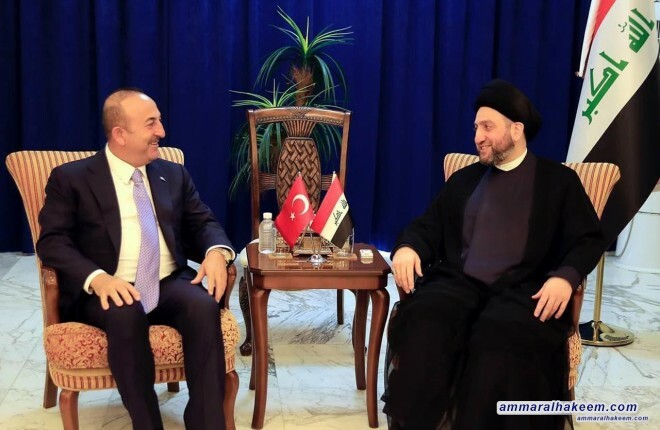 Sayyid Ammar al-Hakim discussed Iraq's water quotas from the Tigris and Euphrates Basin, increase releases and the bilateral relations between Baghdad and Ankara. His eminence stressed the importance of strengthening relations between the two countries at all levels to serve the interests of the two countries and the two neighboring peoples starting from commonalities, promote them to serve all. 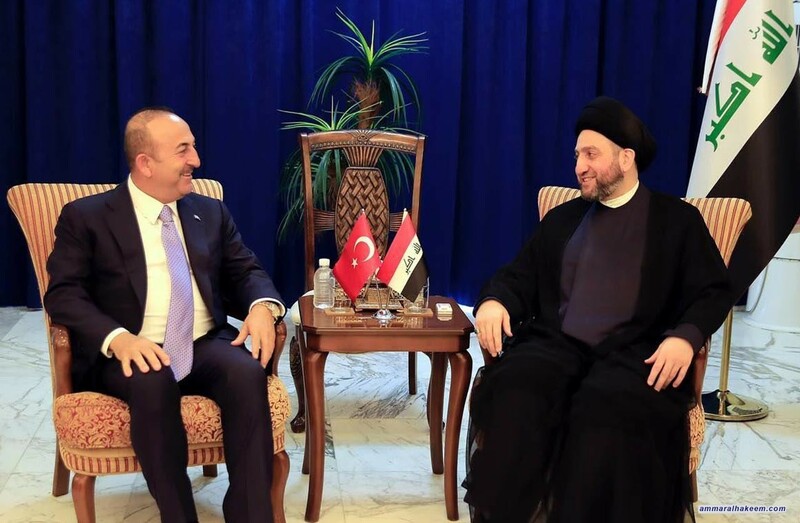 His eminence called on Iraq and Turkey to cooperate to find a positive role in solving issues of the region and reducing the conflict. His eminence noted the importance of cooperation in water releases to serve the two countries and set up projects that will achieve optimal investment of water. Mr. Oglu praised the achievements of the Al-Hikma National Movement that was accomplished in a short period of time, and appreciated roles in convergence of views among the political parties.